Overview Splenomegaly generally denotes a palpably enlarged spleen. 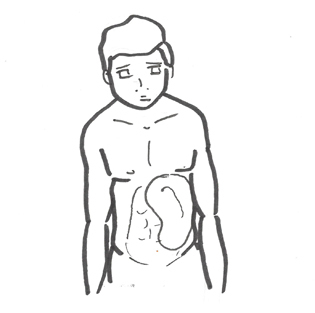 Splenomegaly can be found in 3% of the normal population. Causes of an enlarged spleen are multiple (hepatic, haemotological, infection or inflammation). Hypersplenism: defined as one or more blood cytopenias in the setting of splenomegaly. Pancytopaenia: reduction in the number of RBCs, WBCs, and platelets in the peripheral blood below the lower limits of the age-adjusted normal range for healthy people. It is therefore the combination of anaemia, leukopenia, and thrombocytopenia. Remember FBC and peripheral blood smear are very important in determining cause of the enlarged spleen!